Bringing the best performers together for your next Broward County corporate event or private party is what THEY are all about. Whether your needs are for Broward County corporate events, or for business comedy entertainment for a location elsewhere in South Florida, THEY are prepared to provide a Broward County private party, banquet, corporate event or murder mystery dinner customized for your group that will help you achieve the success you desire and be remembered for years to come. Already the leaders in new and innovative family-friendly comedy, THEY have joined together with some of Broward County top comedic talent to create a team that will help make your Broward County corporate event or private party a huge success! 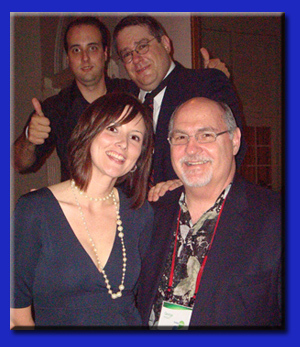 So, if you are looking to put together a Broward County corporate event, private party or murder mystery dinner that will achieve your goals and be remembered by all who attend for its success, contact THEY improv. Find out how THEY can help your Broward County corporate event or private party succeed beyond all expectations! The area between Miami-Dade and Palm Beach is filled with historic locations and hard-working people. From the great gated communities in Weston and Coral Springs, the canals of Fort Lauderdale, the Casinos in Hollywood and Coconut Creek, to the major companies that call the area home, THEY improv works hard to provide entertainment to these locations. There are a variety of cultures and come together here and the people are hard working. For the people that live here year-round to the snowbirds, THEY improv provides quality entertainment customized directly for the audience involved. 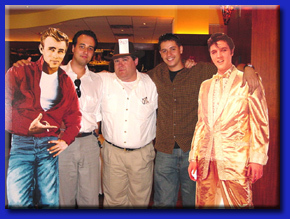 THEY improv leads the way for Broward County corporate events, private parties, banquets, business comedy entertainment, hospitality training and team building workshops. If you have a company looking for unique and entertaining methods for improving your business, look to THEY improv. 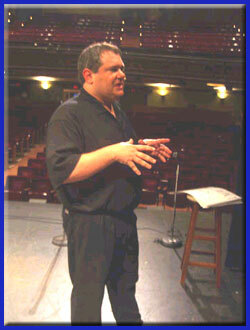 THEY improv is proud to serve the entire area including Fort Lauderdale, Hollywood, Hallandale, Plantation, Sunrise, Davie, Dania, Weston, Pompano Beach, Coral Springs, Miramar, Pembroke Pines, Lauderhill, Coconut Creek, Deerfield Beach, Cooper City, Lighthouse Point, Southwest Ranches, Margate, Oakland Park, Parkland, Tamarac, Wilton Manors, Miami, Boca Raton, West Palm and practically everywhere else in South Florida. 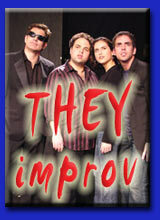 Contact us by email at info@THEYimprov.com or by calling (954) 940-1500.